Janmashtami is a grand affair in our country. 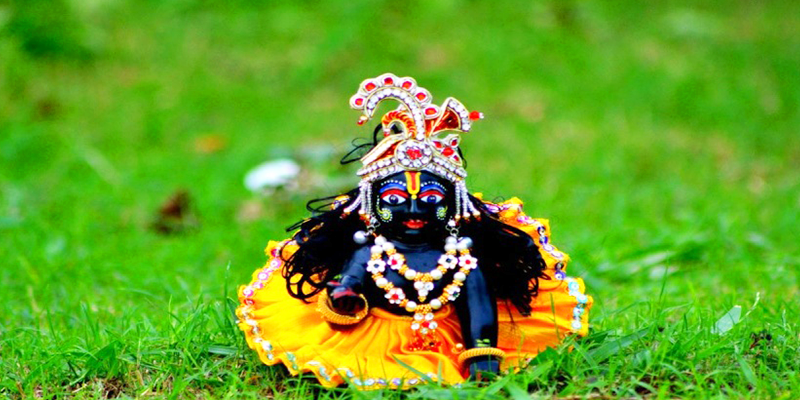 It marks the essence of celebrating the birth of Bal Gopal and his mischievous childhood. Lord Krishna holds an important place in our hearts and you really can’t miss the festive fervour and delight of Krishna birthday celebrations. Govinda Ala re at Mathura and Vrindavan: Birthday celebrations of Lord Krishna are grand in the twin city. 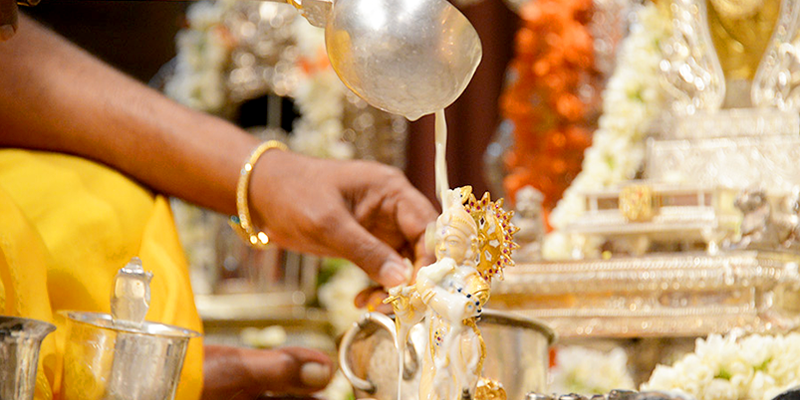 Nearly 8 to 9 lakh devotees participate in the several rituals performed in the temples of Vrindavan and Mathura. Jhulanotsav, Jhakis, Dahi Handi and Rasleelas mark the essence of Janamasthami during this day. Best way to go: There are direct trains available to reach Mathura. You can also book a bus to reach this sacred city of Nand Gopal. 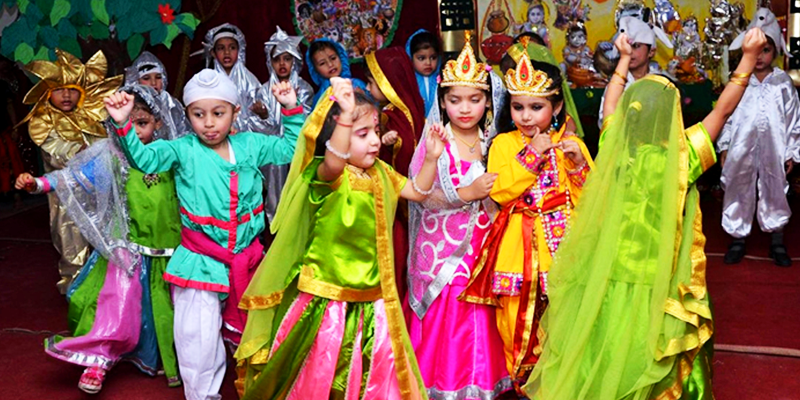 It is all about fun in Rajkot: The city of Rajkot fills with joy and enthusiasm on the occasion of Krishna Janmashtami. Rajkot Fair is one of the highlighting features. The whole momentum gets enthusiastic with the phrase “Nand Gher Anand Baio, Jay Kanha Laal Ki”, as the devotees welcome Lord Krishna. Best way to go: You can easily get regular trains to Rajkot from other major cities of the country. You can also book a bus to reach this city. 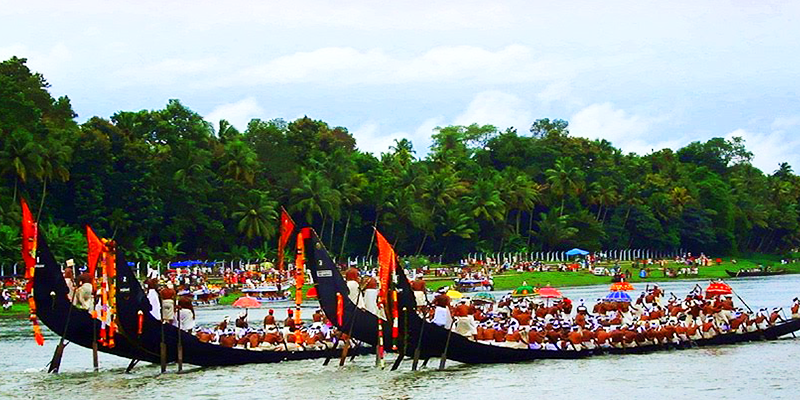 Aranmula boat race on Kanha’s birthday: Shree Parthasarathy Temple organises special ceremonies on the occasion of Krishna Janamasthami. Devotees visit here to enjoy the Valla Sadya. This is a mass feast which includes 45 varieties of dishes given by the devotees of Lord Krishna to the rowers of Palliyodam. It is a different kind of Snake boat which is considered, the divine vessel of Lord Krishna. Best way to go: Aranmula is located at a distance of 10 kilometres from Chengannur. The nearest Railway station and bus station is Chengannur. You can take a taxi or a Rickshaw to reach from here Aranmula. Go Govinda with Dahi Handi at Mumbai: The coming of Govinda is grand in Mumbai and the Dahi handi is something not to be missed here. 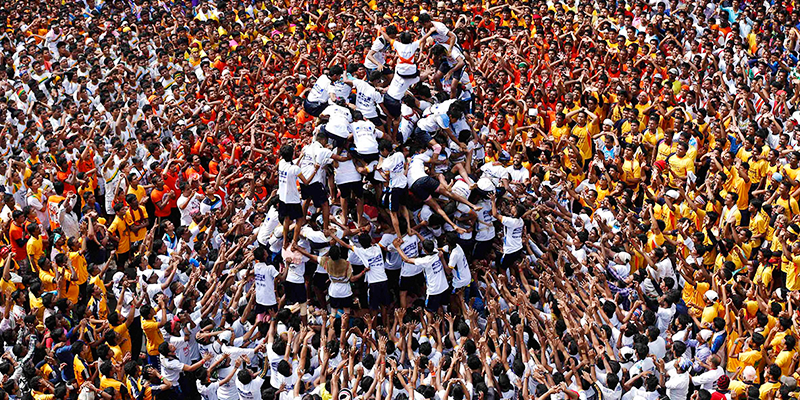 While most of the celebrations involve staying up all night and singing hymns in honour of Bal Gopal, forming human pyramids and attempting to break the pot of curds is a special part of celebrations in Mumbai. The religious fervour depicting the birth of adorable ‘Bal Gopal’ remains the same wherever you travel but the diverse nature of celebrating this festival ties us with the bond of love and devotion. Best way to go: Mumbai is best connected with all the major cities of India. You can also book a bus from your nearest city to reach Mumbai. Not yet installed? Install it now. RailYatri Tip: Do take special care of your personal belongings and beware of the pickpockets.